Minnetonka - Hi Top Back Zip Boot in Black Suede Moccasin inspired suede ankle boot with square toe. Fringe ankle wrap featuring metal beads and braided accent. Back ankle zipper. Cushioned insole. This boot runs large we suggest ordering 1/2 size smaller. Minnetonka - Hi Top Back Zip Boot Brown Suede Moccasin inspired suede ankle boot with square toe. Fringe ankle wrap featuring metal beads and braided accent. Back ankle zipper. Cushioned insole. This boot runs large we suggest ordering 1/2 size smaller. 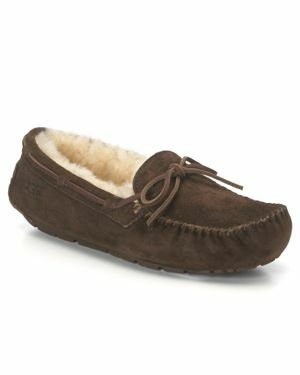 Naturalizer - Natasha Loafers Women's Shoes s Natasha loafers have classic moccasin style that's a sure staple in any closet. N5 Contour technology lends support and comfort to your look. UGG - Women's Reid Sneakers Wrapping laces and a decorative cuffed profile lend a touch of moccasin appeal to the Reid booties by Ugg. House of Harlow - Morris Boot in Lion Suede lace-up moccasin boot with mixed gold and pearl colored metal studs. Features a rubber sole with a 19&quot; shaft and intricate stitching.